You may know that I’m using Licorize to stay organize and store ideas and stuff. You may organize all your strips in projects which in turn may be public. 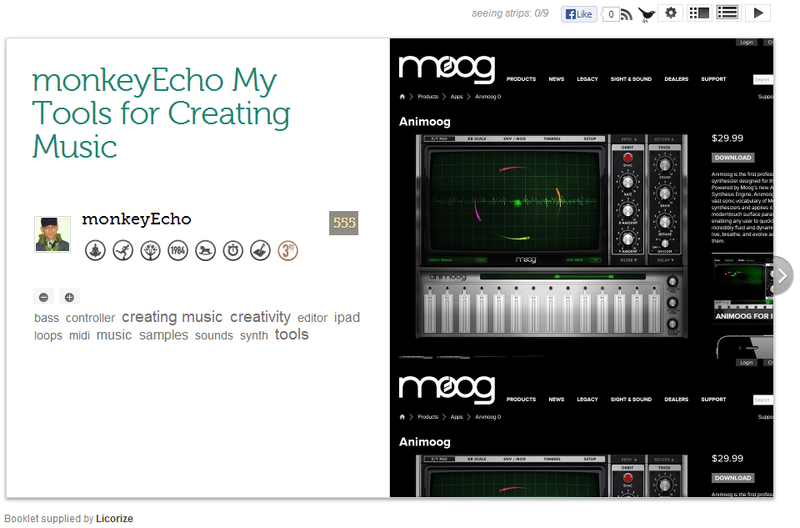 I made such a public project for my music creation tools. 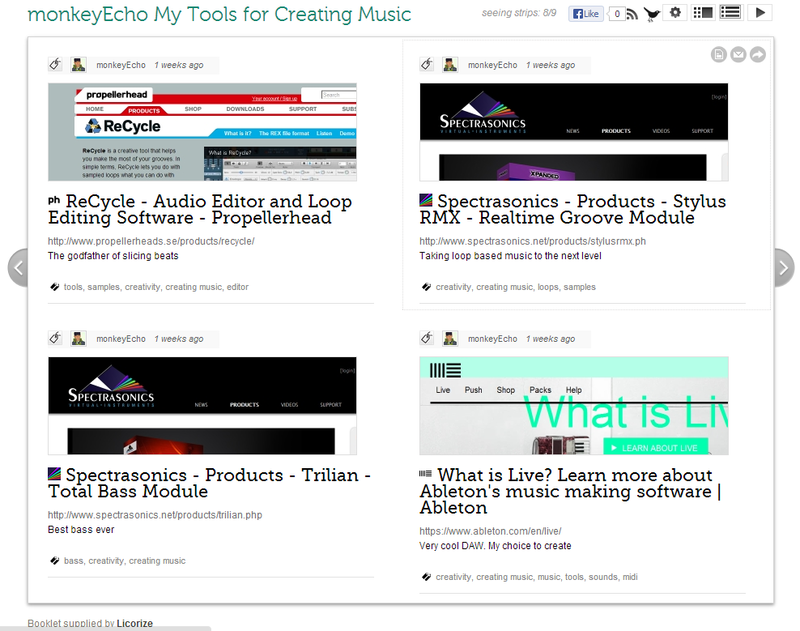 So if you’re curious about the tools I use or about a way to publish links, todos, notes in a good looking “booklet”, check out my My Tools for Creating Music or create one of your own by using Licorize.